Defected proudly presents this official sample pack from Franky Rizardo. The pack contains over 495 MB of high quality samples including bass loops, clap loops, fills, hat loops, kick loops and top loops. It’s the newest in Defected’s series following on from packs by Copyright and Shovel that have received five star feedback from DJs across the board. Defected Records is one of most respected names in global dance music with a history of almost two decades. Founded in London by Simon Dunmore in 1999, the label is now one of the recognised leaders in the game, synonymous with consistent quality house music and working with pioneering electronic artists from around the world. 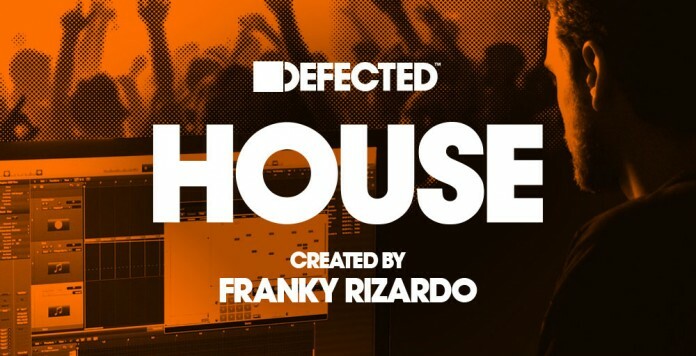 Franky Rizardo’s relationship with Defected began in 2010 when he was delivering hot remixes of big names including DJ Gregory, Studio Apartment, Copyright, Michael Gray and Danism. His hugely refreshing approach to house music has been paying dividends in a big way ever since. Having established himself as one of the biggest draws in Holland’s house music circuit with a style that works as well on big stages as it does in sweaty clubs, Franky is rapidly expanding his horizons across the world. Releases on Defected, DFTD and Stealth records demonstrate an increasingly strong production career. He has decided to dedicate himself recently to the modern deep house sound in an effort to move away from the OTT builds and drops that his main stage performances were pressuring him towards. This sample pack contains everything you need and more to create original deep down and Defected house music, and to channel Franky’s forward-thinking creative vibe.